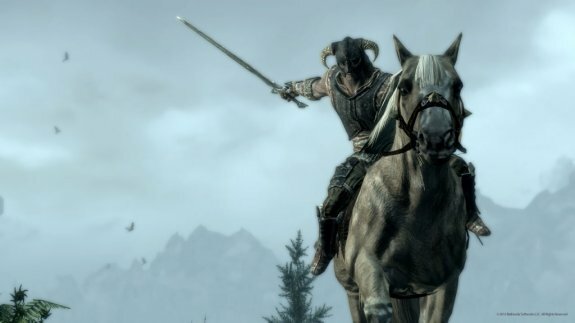 Skyrim 1.6 update adds mounted combat! One thing about The Elder Scrolls V: Skyrim that I found really lame was that you couldn't attack enemies while riding a horse. Fortunately, Bethesda listened to everyone's complaints and added mounted combat via patch 1.6! After installing this update, Skyrim players will be able to do mounted melee and ranged combat. Currently, the patch is only available for PC users through Steam Beta Update.